Fabric banner "Decolit" with print on "Decolit" in high quality + grommetsx - Can also be used at events and concerts. Textile banner "Decolit" available in fixed sizes to choose. The digital printing according to your data will be done on "Decolit" material which is B1 (fire protection class) certified. Therefore it can also be used at indoor events and concerts for/as e.g. 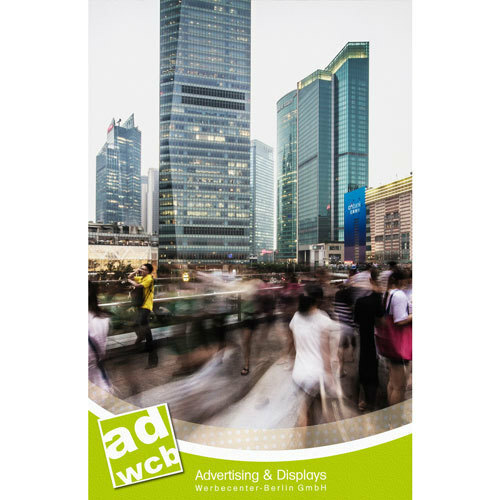 banner, displays, exhibitions, decorations, stage and shop window decoration. 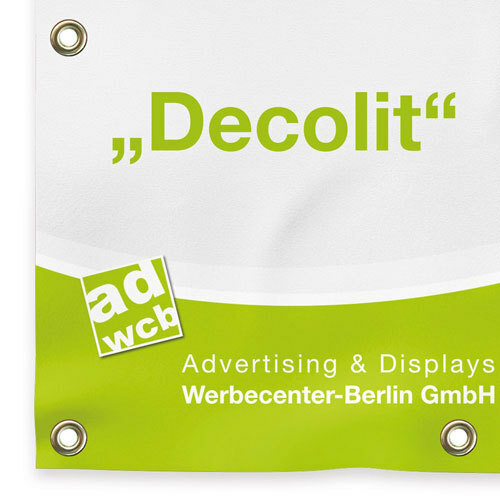 As standard we produce the fabric banner "Decolit" with eyelets (approx. every 50cm) for easy and stable mounting. The up to 100% recyclable material reaches high quality printing regarding color and contrast. Depending on solar radiation and place of installtion: in average 2 years, max. 4 years. In extreme cases, e.g. installation on a flat roof, 1 year. 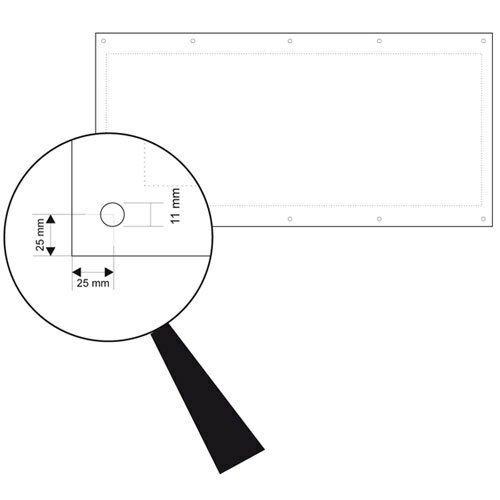 We recommend to mount the banner with rubber hooks or expander rope (available as accessories). Cable ties or regular ropes are not recommended due to lack of elasticity - eyelets may tear out.